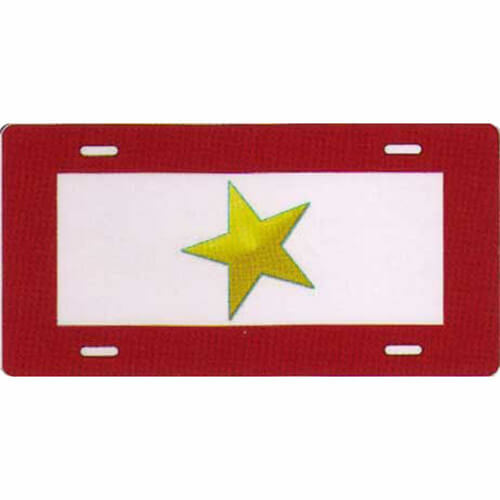 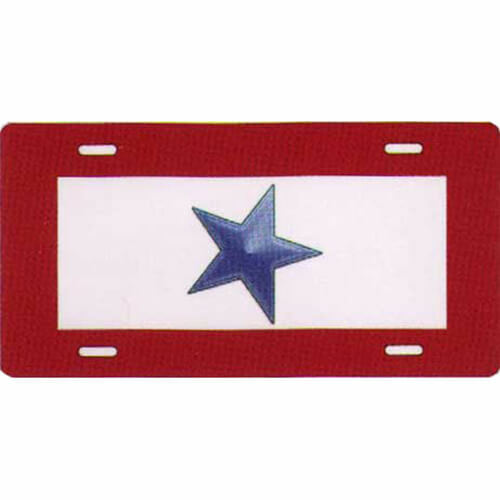 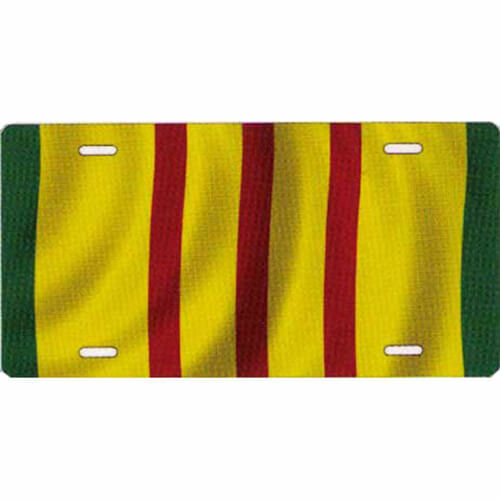 Military, fire & police themed novelty license plates. 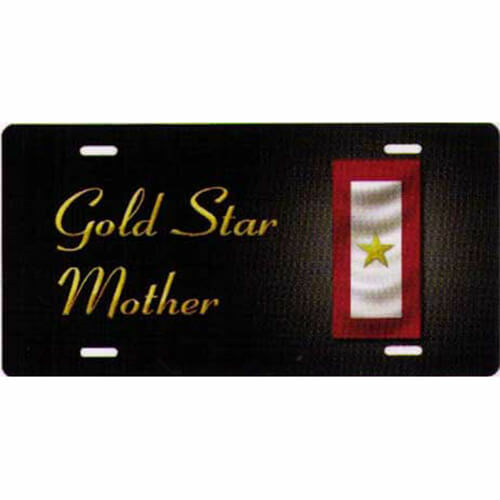 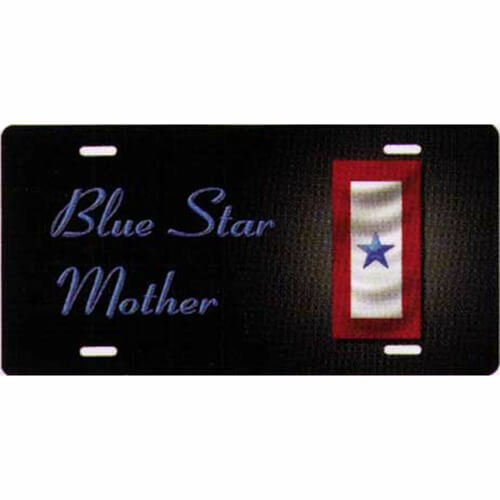 Blue star mother on a black background. 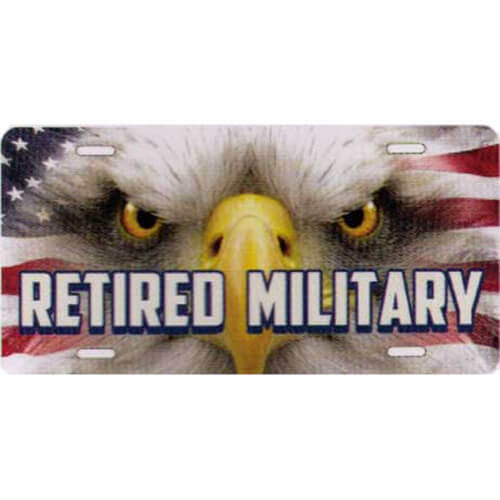 "Retired Military" on a United States flag and eagle background. 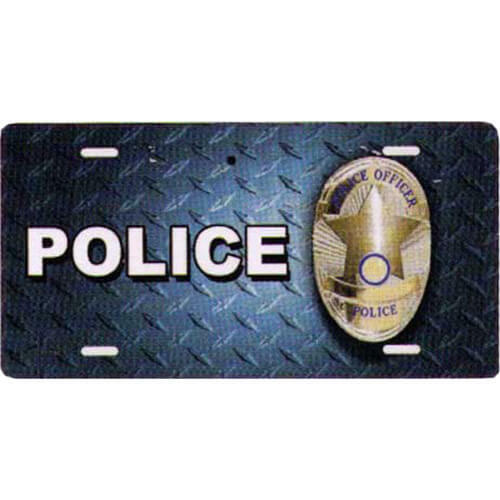 "Police" text with a police officer badge, on a blue diamond plate background. 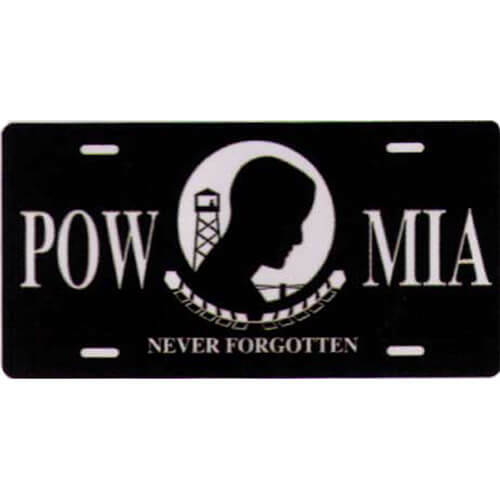 "POW MIA, Never Forgotten" with symbol in white on black. 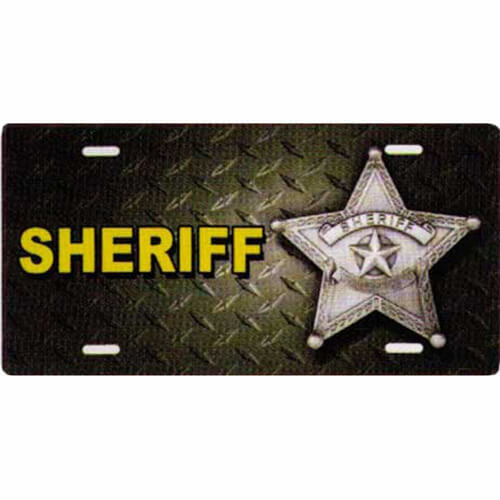 "Sheriff" text, with a sheriff star badge to the right, on a dark diamond plate background.